Cereal prices dropped slightly in the world markets in June, but were still 71 per cent higher than a year ago, with the fall attributable to improved weather conditions in Europe and the lifting ofRussia’s export ban, the United Nations Food and Agriculture Organization (FAO) reported today. 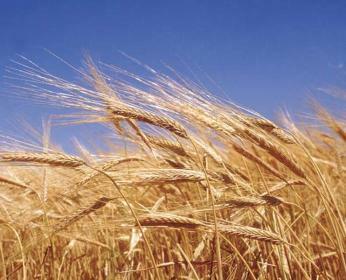 The FAO Cereal Price index averaged 259 points in June, down one per cent from May. The maize market, however, remained tight because of low 2010 supplies and continued wet conditions in theUnited States. Prices of rice were mostly up in June, reflecting strong import demand and uncertainty over export prices inThailand, the world’s largest rice exporter. Overall, the FAO Food Price Index rose one per cent to 234 points last month, 39 per cent higher than in June last year, but four per cent below its all-time high of 238 points in February this year. A strong rise in the price of sugar in the international markets drove up the index. The FAO Sugar Price Index rose 14 per cent from May to June, reaching 359 points, 15 per cent below its January record. Production inBrazil, the world’s biggest sugar producer, is forecast to fall below last year’s level. The agency’s Dairy Price Index averaged 232 points in June, largely unchanged from 231 points in May, while the Meat Price Index averaged 180, marginally up from May with poultry meat rising three per cent and climbing to a new record, while pig meat prices declined. After two consecutive revisions to the US crops and planting prospects for 2011, FAO’s latest forecast for world cereal production for 2011-2012 stands at nearly 2,313 million tons, 3.3 per cent higher than last year and 11 million tons above FAO’s last forecast on 22 June. World cereal use for 2011-2012 is forecast to grow by 1.4 per cent from 2010-2011, reaching 2,307 million tons, just five million tons under forecast production. World cereal stocks at the close of the crop season in 2012 are now expected to stand six million tons above their opening levels. While wheat and rice inventories are expected to become more comfortable, coarse grains stocks, especially maize, would remain tight, according to FAO.